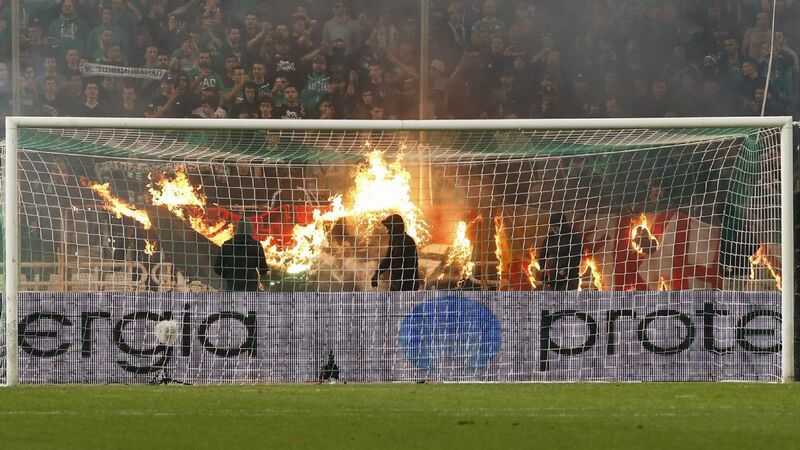 Panathinaikos are facing the threat of relegation over mounting financial troubles amid reports players have been skipping practice in protest of payment delays, and in February, UEFA warned the club they face a one-year ban from European competition unless they settle their debts. They were also deducted two points before the season began for unruly fan behaviour in the playoffs at the end of last season. Wemmer, now without a club, moved to Panathinaikos from Paderborn in July 2015. He did not make any appearances for the club during the 2016-17 season as part of his dispute and was out of contract in the summer. AEK Athens are currently at the top of the table with 57 points and are vying for their first Greek league title in 24 years.